Our anti-theft kit offers customers the peace of mind of fixing their products with additional protection against theft. 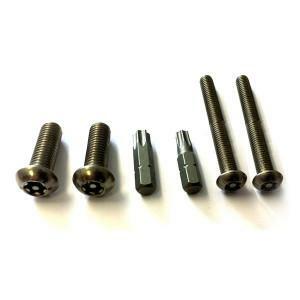 The A2 grade stainless steel security screw kit is specifically designed and recommended for use with Lazer Centre Mounting Kit (1114k) and/or Side Mounting Kit (1118k). Supplied complete with unique locking keys.